The Australian company which supplied 122 speed and red light cameras to South Australia has hit a speed bump of its own in the United States. 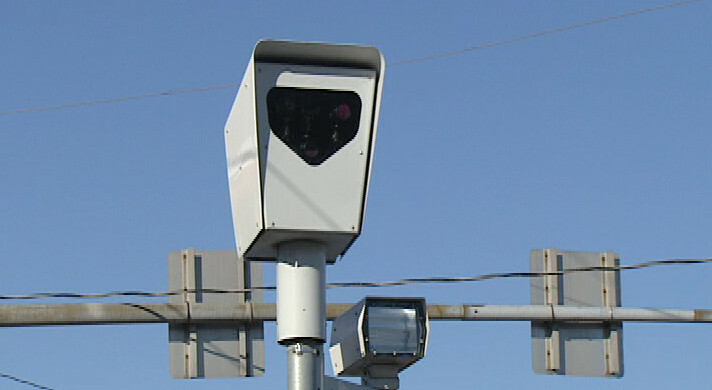 Redflex – the “preferred choice for speed enforcement systems in Australia” – is caught up in a $2 million Chicago corruption controversy involving its former employees. The fallout has now spread to California with a former employee alleging “systematic bribery and corruption of government officials in various states and municipalities to obtain government contracts”. The claims have been denied by Redflex which says it has been “aggressive” in removing staff who made “inappropriate payments and gifts to solicit government customers”. The colourful saga started in late 2012 when Redflex was excluded from tendering for further contracts in the City of Chicago after investigations revealed that one of Redflex’s employees paid for a hotel room for a City of Chicago employee. The expense totalled US$910 – but worse was to come as the company commissioned an internal investigation and Chicago agencies, aided by the US Department of Justice, dug deeper. The hotel room payment would be the very small tip of a very big iceberg. The investigations resulted in bribery charges against John Bills, the former managing deputy commissioner of Chicago’s Department of Transportation. Then earlier this month it was revealed a secret grand jury in Chicago had also indicted Karen Finley, the former chief executive of North American operations for Redflex Traffic Systems. The alleged bagman in the scandal, Bills’ friend Martin O’Malley, was also indicted. The Windy City’s residents were outraged when it was alleged the Australian company that made Chicago the red-light camera capital of America – with drivers hit by as many as 791,000 tickets in a single year – had won $US124 million in contracts by handing over approximately $US570,000 in cash and other personal benefits to Bills. Redflex’s alleged under-the-table dealings also inflamed US President Barack Obama’s former right-hand man and current Chicago mayor, Rahm Emanuel. “I inherited them and I fired them,” Emanuel, elected mayor in 2011, said of his relationship with Redflex. The alleged payments allowed Bills to live a lavish life, including buying a Mercedes-Benz and an Arizona condominium, and getting Redflex to pay for stays in luxury hotels, golf outings, car rentals and meals. In return, Bills allegedly used his influence to help Redflex win the contracts. In 2003, then Chicago mayor Richard Daley, just like other government officials in US and Australian cities and towns, declared the traffic cameras were life-savers. The Chicago scandal, however, has proven to be a key argument in red-light camera opponents’ campaigns across the US to shut them down. “How any public entity can continue to do business with Redflex in particular, but really any of these companies pitching these ineffective, thieving cameras is beyond me,” New Jersey assemblyman Declan O’Scanlon, one of the most vocal opponents of traffic cameras in the US, said in a statement. The company has updated the Australian Stock Exchange (it’s listed as Redflex Holdings Pty Ltd) on each stage of the scandal, as its US arm accounted for 13 per cent of the group’s revenue in the 2012 financial year. “Last year we announced aggressive leadership changes, industry leading compliance policies and procedures and a distinction between our past and present,” the company said in a statement last week. “Redflex Traffic Systems is moving forward. Since we announced these changes we have signed, renewed or executed over 100 contracts. The Chicago controversy, however, could be one of several across the US that continue to trouble Redflex. Aaron Rosenberg, a former Redflex executive based in California and a self-described whistleblower who was fired by the company, has filed a lawsuit against Redflex in California. “Redflex has engaged in systematic bribery and corruption of government officials in various states and municipalities to obtain government contracts for red-light photo enforcement programs,” Rosenberg’s lawyer, Michael Williams, wrote in a US District Court filing. Redflex, however, argues Rosenberg’s employment was terminated when an internal investigation found he had “disguised thousands of dollars of personal expenses as purported business expenses, and along with other high-level employees made inappropriate payments and gifts to solicit government customers, all in violation of company policy and applicable law”. The Chicago Tribune reports that Bills and O’Malley have repeatedly denied any wrongdoing. Finley’s attorney, Mike Kimerer, said that his client intends to plead not guilty to all charges when she appears in Chicago for her arraignment. Shares in the Australian listed Redflex Holdings were at $2.00 when corruption allegations emerged; today they are trading at 95 cents.